One of my earliest memories is my mother singing the song “Over the River and Through the Woods” to me each Thanksgiving as we were bundling up to go to grandmother’s house. A little known fact is that the author of this song was a woman named Lydia Maria Child, who was one of the earliest American women to earn a living from her writing. The time to fall back is coming quickly; on Sunday, November 6th, Daylight Saving Time for 2016 comes to an end at precisely 2 a.m. in the morning and won’t return till 2 a.m. on March 12, 2017. We get an extra hour of sleep on November 6th, and while some people don’t like losing the hour of afternoon daylight, the extra hour of sleep is much needed especially during this busy season. 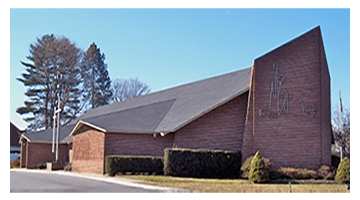 The Good Shepherd Lutheran School is a whirlwind of activities as we move from the Fall Harvest Festival and pumpkin parties into the “Thanksgathering” parties, the tree lighting, and the Advent Liturgies. In addition, there are many Parent Teacher Club sponsored events happening in the school: the Prestige Catalog sale with lots of holiday-themed presents, the Little Elves Gift Shop, a Gingerbread Workshop, and Drop-Off Movie Night, all taking place now and throughout the month of December. Whew! It makes my head spin thinking about the logistics, planning, communicating, etc. It seems we are moving very quickly “over the river and through the wood” into the midst of the holiday season. The children’s Bible verse for the month of November is: Psalm 136:1 “Give thanks to the Lord for he is good. His love lasts forever.” Please take some time to reflect on what is really important during this month of thanks and also of giving. We hope everyone will appreciate the true meaning of the holiday season as families prepare their Operation Christmas Child shoebox, bring in a coat to be donated or bring in a food donation for each November Chapel on Mondays. Have you picked up your decorated shoebox to pack for Operation Christmas Child? If we run out of the pre-made decorated shoeboxes, you will still be able to decorate your own shoebox and pack it with presents for either a boy or a girl. Please come by the school office and pick up the packing directions and labels, this is all you need! The packed boxes are due in the school office on November 9th and they will be shipped all over the world to needy children. The school is also collecting gently-used winter coats beginning in November and throughout the winter months. All coat donations will be taken periodically to the New Life Center in Uniondale, NY, along with the donations of canned food and food staples. We truly have a lot to give thanks for here; due to an incredible effort by countless people, the Fall Harvest Festival raised a lot of money for us to be able to purchase the new playground fence. In addition, the money will bring even more technology into our school to go along with the new mobile Smart Table and the iPads for each classroom, courtesy of A.J. Jin and Flushing Bank. Last but not least, we are truly thankful for the children who come here each day with bright smiling faces and to our parents for entrusting their children to us. We ask that you continue to keep the staff and school families in your prayers.